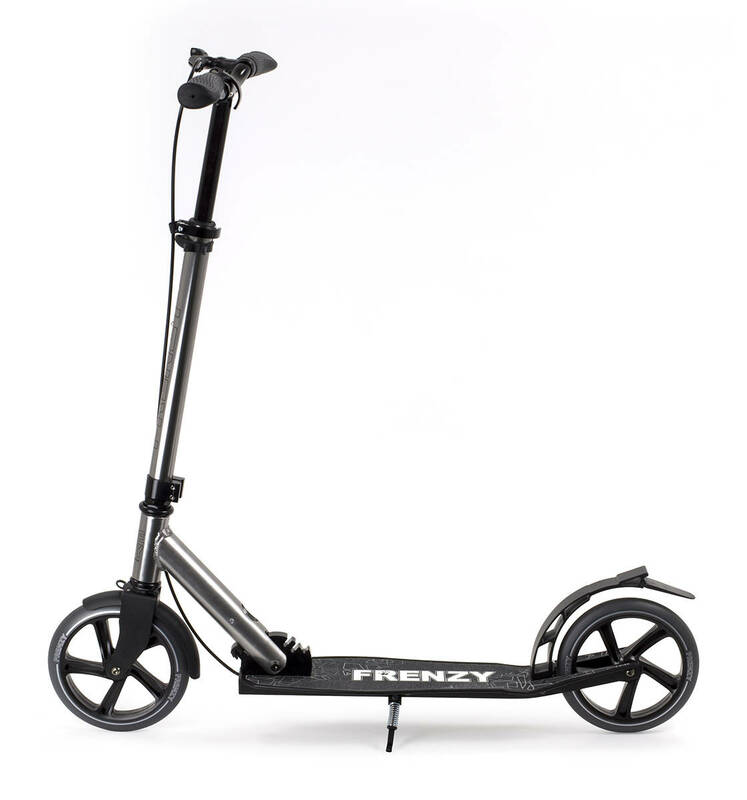 This Frenzy Adult Scooter comes with a dual braking system, providing both your hand and your foot with braking opportunities. It features PU wheels instead of air-filled wheels for less maintenance and a faster ride. The deck is made wider and it's mounted with an anti-wobble top bar clamp for a more stable ride. Made for adult people or bigger kids. Ride fast with its big PU wheels. Get a stable ride thanks to its anti-wobble bar clamp. Adjust the speed easily with its dual braking system. 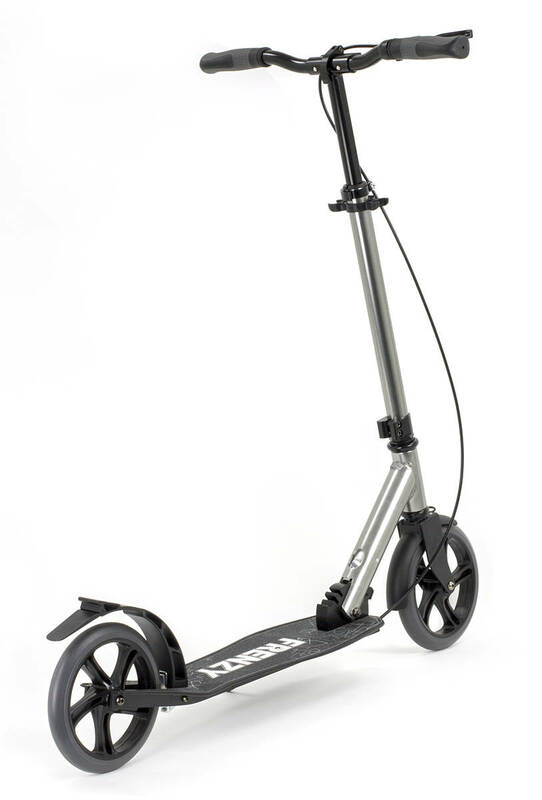 Foldable scooter, easy to bring to the bus or train. Easy to carry around when folded thanks to its carry strap. 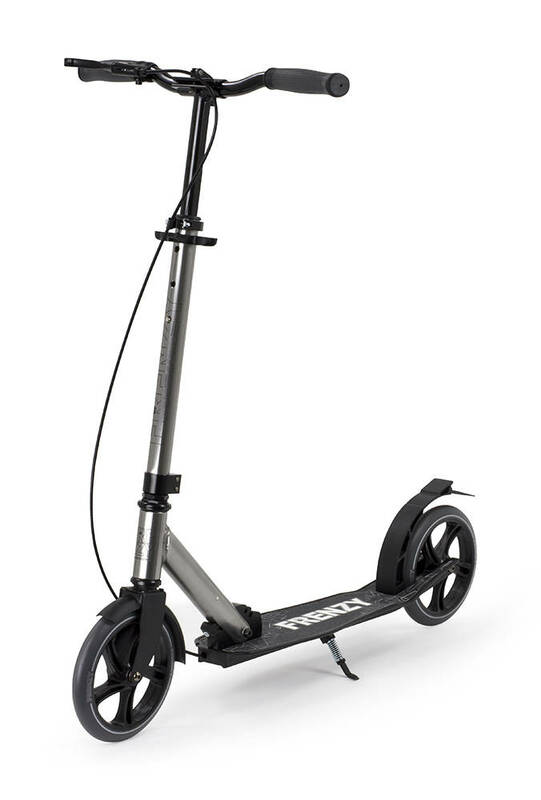 Park it easy in front of your office or store with its foldable kickstand. Bonjour, Très bon matériel qui répond exactement aux désirs de l'utilisateur. Seul point négatif : le prestataire employé pour la livraison qui ne tente même pas de livrer et ne dépose aucun avis en boîte aux lettres. C'est donc par hasard que nous avons su que l'objet nous attendait à la poste.